Tergo UMS-TF/UHD-TF/UHX-TF Reach truck with telescopic forks. Specially-designed to work in double deep applications, UniCarriers's new generation heavy-duty reach trucks are also available with telescopic forks. Compared with conventional storage, the Tergo reach trucks with telescopic forks require approximately 25% less space for the same storage volume. With special hydraulic fork extensions it is possible to reach two pallets deep from one single aisle. The UMS–TF is the perfect versatile partner in most operations for lift heights up to 8.95 metres. 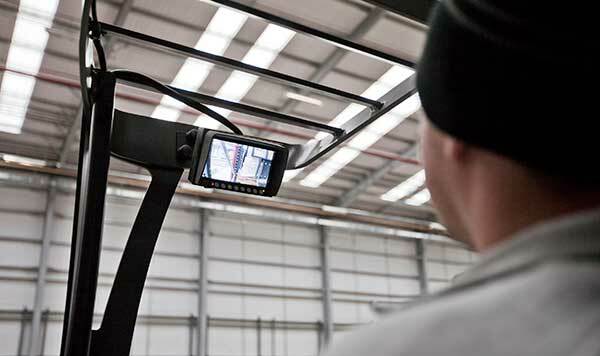 For even tougher tasks, there's the robust UHD–TF that handles loads up to 11.5 metres. For the highest warehose applications, choose the steady UHX-TF with lift heights up to 12.1 metres. These trucks' ergonomics are naturally world-class. UniCarriers's unique mini steering wheel with floating armrest, the multi-adaptable operator's environment, intuitive controls with the unique Ergologic design, a patented 18° tilting seat and superior visibility put the operator in control for maximised efficiency and safety. 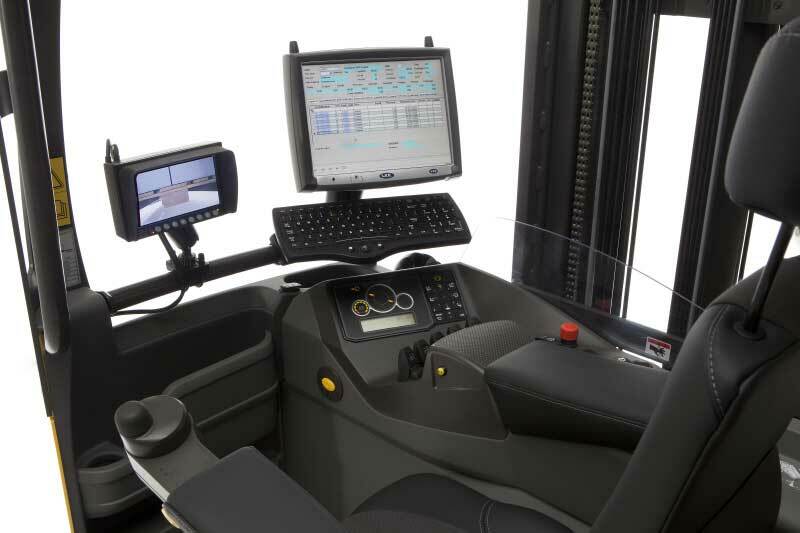 A wide range of extra equipment such as ASR (Active Spin Reduction), LAS (Level Assistance System), Ergologic operator interface, Fast Track battery change system, load wheel brakes, video cameras and weight indicators help improve usability further. Optional fingertip hydraulic levers and cold store cabin solutions complement what is probably the world's most personal range of reach trucks. The UniCarriers S3 (Stability Support System) provides technology which ensures an unmatched industry-leading safety level. To maintain driving stability in a wide range of situations, the S3 technology continuously measures speed, steering, commands, mast movement and lift height of the truck. Fork height and movement direction indicators are also included in the S3 package. The S3 Soft Motion system further improves handling speed while stacking, by continuously adjusting reach, tilt and sideshift speed based on an advanced algorithm. The system reduces mast oscillation to a minimum, allowing maximum performance in every single moment. DCC (Dynamic Cornering Control) modifies the relationship between the speed of the truck and the operator's steering wheel movements, allowing a higher level of cornering speed. When handling loads at high levels, the Optimised Performance Control adapts the tilt and reach speed to maximise stability and safety.